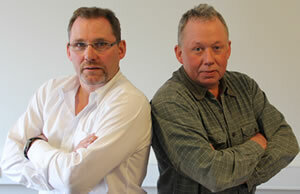 Niklas Kenneth Joensen and Peter Højgaard Brodersen founded the Mechanical & Electrical Support in August 2006. Mechanical & Electrical Support was founded in order to make repairs for the fishing industry and vessels in the Faroe Islands during our vacation from the sea. Since that time we have attended more than 140 vessels, including 49 dry dockings, 13 new buildings take over, 52 repairs and modifications and 28 vessel inspections on behalf of various ship owners. Read more . . . . . .